Retains water, loosens clay soil and adds body to sandy soil. Natural, organic peat moss improves the structure of all soil types, reduces the need for watering and provides the best anchor for root and plant development. Used to reduce the pH of garden soil. 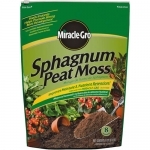 This growing mix made up of fine particles of peat moss, perlite and vermiculite has been specially developed for plugs and flats. This highly consistent mix promotes rapid, regular germination and root development. 3.8 cubic foot bale. Composed of fibrous sphagnum peat moss, perlite and vermiculite, BM-1 planting mix promotes quick and steady growth in a wide variety of plants. Perlite Improves Aeration and Drainage While Promoting Root Development. A Soil Conditioner That Helps Prevent Soil Compaction In Containers, Which Impedes Root Expansion. This lightweight Perlite provides superb aeration and moisture retention when mixed in with other soil materials. 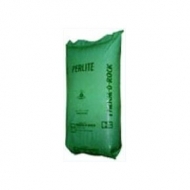 Perlite supports root growth and retains moisture, air, and nutrients which it releases as plants grow. Also suitable for hydroponic greenhouses. Can be made very low-density as required. A High Porosity peat/perlite-based growing medium. This mix ensures optimum growth, especially when high air-capacity and extra drainage are required. It is ideal for water-sensitive crops, rooting cuttings and/or low-light growing conditions. Ensures stronger, healthier plants due to more root systems and better fertilizer uptake. Turface MVP fights infield compaction that leads to running, sliding and bad ball hop injuries. MVP absorbs its weight in water, allowing play to resume quickly after the rain stops. After a rain, Turface Quick Dry makes muddy, slippery conditions a thing of the past. Quick Dry will not cake, become slippery, or turn your field rock-hard, and works over and over. 50 lb. Bag. This lightweight vermiculite provides superb aeration and moisture retention when mixed in with peat, bark, or compost. Also makes excellent fertilizer. 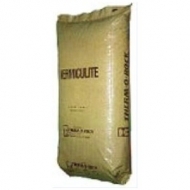 Vermiculite soil supports root structure and stimulates fast root growth. Can be used by itself to aid soil-less hydroponic greenhouses.